The Energy Saving Trust (EST) has published a report that claims landlords hold the key to a successful Green Deal. As the Coalition’s flagship environmental policy, the Green Deal aims to reduce carbon emissions on a shoestring. Households will not receive grants or discounts, but they will be given the opportunity to take out finance on green installations such as cavity wall insulation, double glazing and new central heating boilers. Loans provided under the scheme are attached to the properties for which they are taken out, meaning that homeowners who sell up are not required to carry on paying the instalments. Whether property-fixed loans will be good for the housing market is another issue altogether. Concerns have already been raised that the Green Deal does not make financial sense for homeowners. Loans are provided at market rates, so interest is likely to be an issue for many people. The relatively high cost of installing solar panels and central heating systems may also be prohibitive, whilst the majority of government-approved fitters charge non-refundable upfront assessment fees for establishing whether work can be carried out under the scheme. The limitations of the Green Deal are compounded for landlords, who risk receiving none or few of the benefits of green installations whilst shouldering the entire cost. 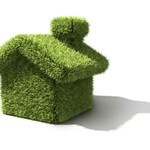 The EST believes the involvement of landlords will make or break the Green Deal. Research carried out by the EST shows that only 34 per cent of tenants in private accommodation benefit from cavity wall insulation, whereas more than half of all homeowners in the UK have had the product installed. The research also claims tenants are eager to benefit from green technology. Almost two-fifths of tenants want a new boiler, whilst just under half want their landlords to invest in double glazing and insulation. The EST’s Housing Strategy Manager, David Weatherall, is positive about the potential of the Green Deal. Mr Weatherall said: “This is a win-win situation for both landlords and tenants. Landlords get home improvements without the upfront costs and tenants have warmer homes to live in. Neither needs to be out of pocket, or cold!”. Mr Weatherall added that private landlords are being specifically targeted by installers to ensure that they understand the benefits of the Green Deal.